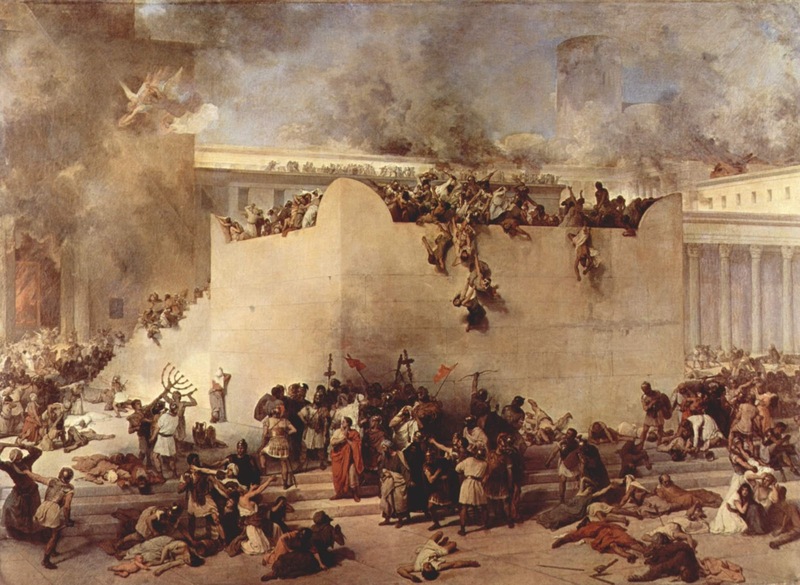 Today is Tisha B'Av, the saddest day on the Jewish calendar. I have written about this day before HERE and you read more info about it HERE. To give you the Cliff Notes version, Tisha B'Av is the day Jews mourn the destruction of the Second Temple and the tragedies that we have suffered in exile for the past thousands of years. And unfortunately, Jewish history involves many, many of those tragedies. Tisha B'Av is the day where we don't avoid the many frightening and terrible things that happen in the world, but instead face them head-on, and fast and cry. And in an odd way, it makes me proud, as well--proud that after so many years and so much persecution, we are alive and well and making a difference in the world. Tomorrow will be a new day. But today--today is a sad one.